Day 3: Can Tho – Transfer to Rach gia – Super Dong Speed Boat to Phu Quoc. Day 6: Phu Quoc Island – Flight back to Saigon. Day 7: Saigon – Departure. 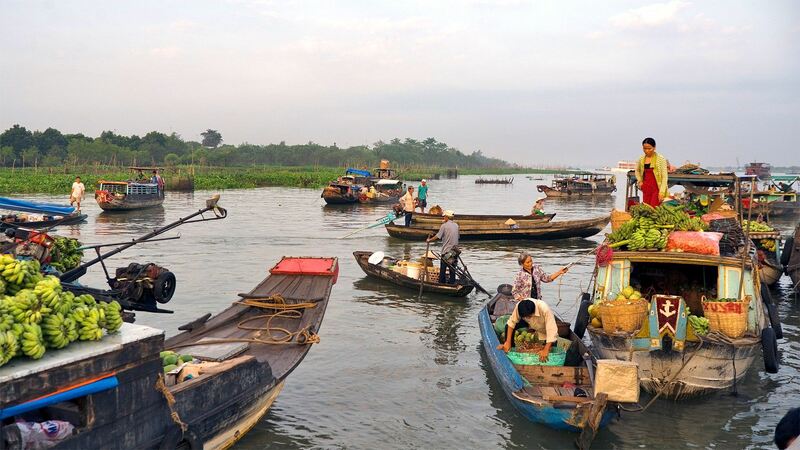 Hand–rowing sampans take you along the small canal, making coconut candy, horse-drawn carriage take you on the village’ s roads, delicious lunch at the local restaurant… and enjoy many local specialties like Tai Tuong fried fish, spring rolls, and fresh shrimp. After lunch, the short journey of walking on village’s trail take you stop at local house where you can taste fresh coconut milk at coconut garden with short coconut trees so you can pick up by yourself. It’s good feelings you can enjoy on this trip. On the way back, visit Vinh Trang Pagoda. Transfer to Ba Duc Homestay, Check in and free time have dinner by cooking class and spend a night at locals’ house. Overnight in Cai be homestay. 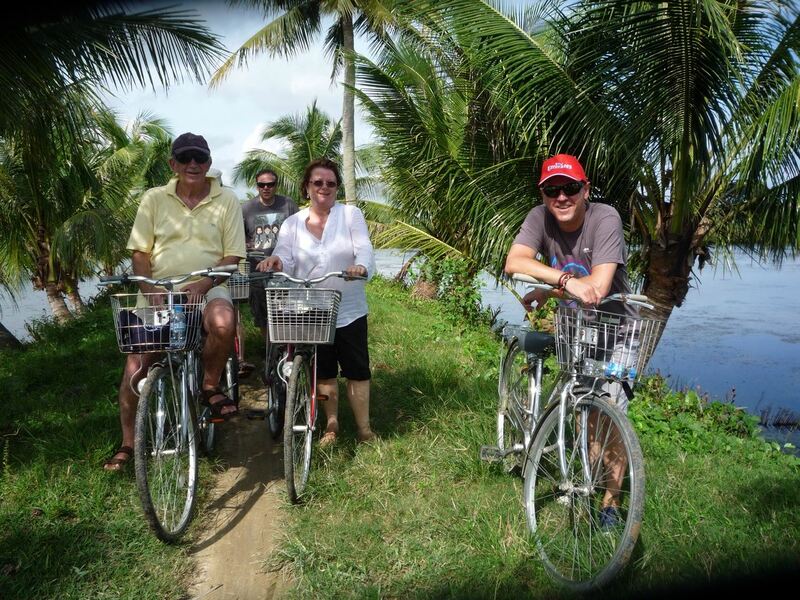 After breakfast, We start to embark a Cyclo around local village, discovery local life then visit Be Kiet Ancient hours (Known as one of the most ancient house in the Southern of Vietnam, Mr Kiet’s house was built 150 years ago. Located on the area of 1000m2, right in the middle of an orchard of 1,8ha at Phu Hoa hamlet, Dong Hoa Hiep commune, Cai Be, Tien Giang province, it is a really peaceful place for tourists coming to Mekong Delta, Vietnam. The house was decorated by the typical traditional style with all walls and columns, furniture were made of wood. It is surrounded by a luxuriant garden with many types of tropical fruit trees, flowers. Depend on the season; you will have a chance to taste delicious fruit here. The host also welcomes you by special dishes made of local fresh ingredients. Coming there and you will not regret for your choice, for sure!). Back the Ba Duc home stay check out and depart to Can tho. After breakfast, Early morning at 7:00AM we will go to Ninh Kieu station, the boat will pick us up to visit Cai Rang floating market (a biggest floating in Mekong Delta), we will have chance to see local people selling, buying, exchanging goods from their boat; a family run noodle making factory, witness the rural life, a rice-produce factory and the beautiful vegetation along the riverbanks then to visit “Ba Cong” garden, witness the rural life and the beautiful. Back to the land, we then drive to Rach Gia,. Arrival Rach Gia about 12:30. We will get on Super Dong Speed boat go to Phu Quoc Island, the speedboat depart at 13:00. Arrive Phu Quoc harbor; we will be picked up by our local guide and driver, then drive to Phu Quoc Island, check-in hotel and take the rest of the day at your own leisure. Overnight in Phu Quoc Island. 8h30: Our tour guide will pick you up at your hotel, first we visit Sim farm where you can try honey Sim or Sim wine, keep continues to visit Pearls farm, we have a chance to know more about the pearls and a lot colorful, where you can buy and make present for your family. 9h30: We on board for snorkeling and fishing where you can talent fishing and enjoy the nature air or swimming to explore ocean, lunch will be ready serve you on boat, about 14h30 boat will back for bus to Coconut Prison and fish sauce factory, after that we go to Sao Beach for relaxing and swimming. 13h30: Back your hotel and free time explore Duong Dong town. In the afternoon, enjoy leisure time on Phu Quoc Island. 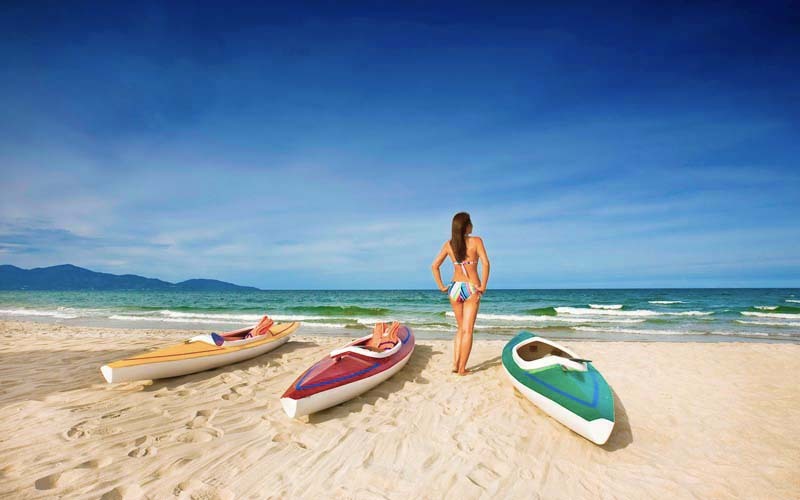 Enjoy leisure time on Phu Quoc Island. Day 6: Phu Quoc Island – Flight to Saigon (Breakfast/ -/ -). 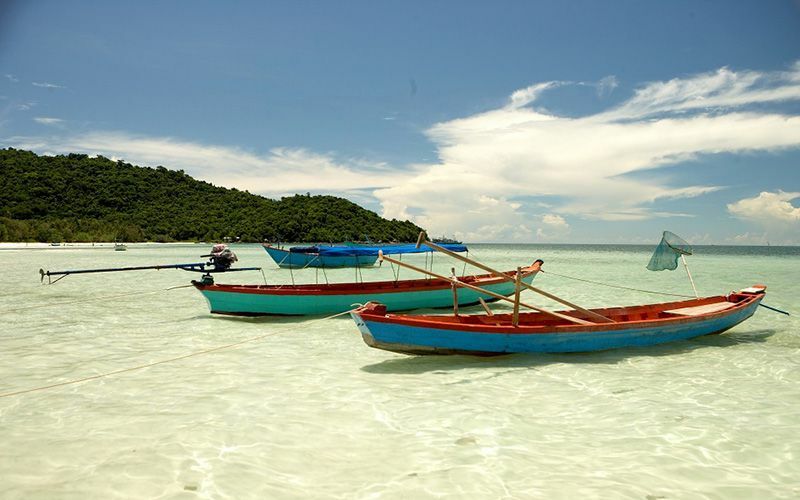 Enjoy leisure time on Phu Quoc Island. Early in the afternoon we board our return flight to Saigon. 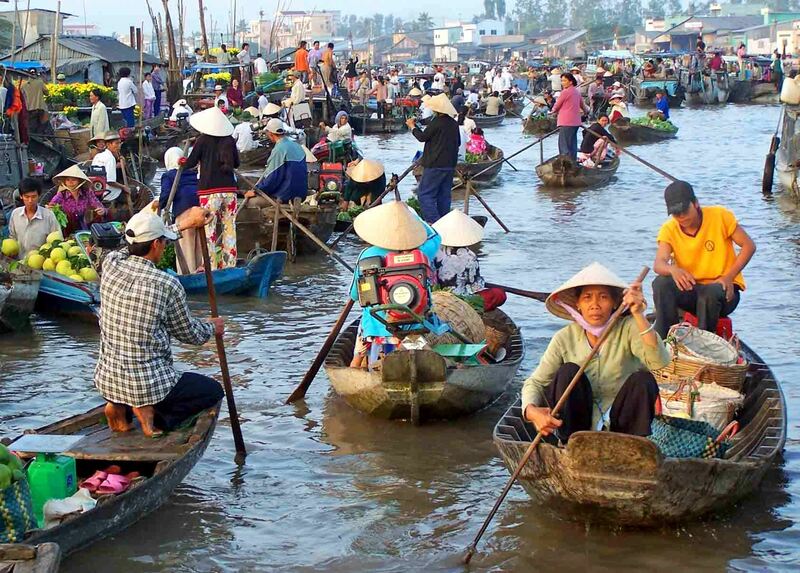 Arrive Saigon, be picked up by our tour guide and driver, then transferred to your hotel in Saigon. Take a rest of the day at your own leisure. Hotels: Hotel fees are based on two people sharing with All hotels as listed in the above itinerary serve daily Western or Local breakfast. All rooms are air-conditioned with private facilities unless specified. Please be aware that flight times, hotels and all other logistics, services and days of travel are subject to availability. Where flights are cancelled or delayed we will endeavor to secure alternative arrangements of similar value as noted in our booking conditions.